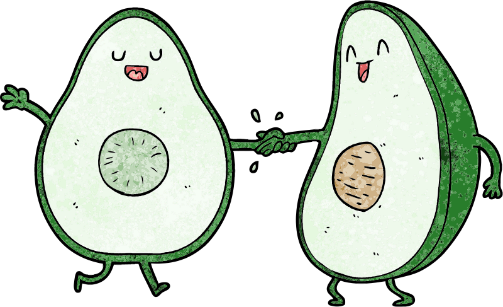 Every Millennial's Favorite Holiday – National Avocado Day on Tuesday inspired many people to share their love for avocados (and Antoni Porowski), through memes and videos on social media. However, National Avocado Day didn’t go as planned for Chipotle… customers who ordered a side of guacamole via the Chipotle App or on its website, could use a coupon code and get a free side guac. Unfortunately, the online orders resulted in an unprecedented increase in new digital customers – which crashed their app and in turn, customers could not get their free guacamole. Speaking of Avocados… – Bachelor and bachelorette parties might be the new avocado toast. A study from Zillow shows that many members of wedding parties are spending too much money on pre-wedding parties. This may be a new reason why millennials are finding buying a home to be difficult. Happee Birthdae, Harry Potter – Harry Potter fans celebrated his 38th birthday, many using the coined “Happee Birthdae” from the kind, but illiterate, Hagrid on July 31st. Tributes to Potter were all over twitter as were tweets to J.K. Rowling, whose birthday was also Tuesday. All Good Things Must Come to an End… – Virgin America has merged with Alaska Airlines which means the end of Virgin America’s legendary safety film. In honor of the video being retired, one flight attendant decided to put on a show for his passengers, dancing along to the video. I’m sure he was viral before the flight even landed. Including Brookstone – Shoppers will have to look elsewhere for massage chairs and headphones. Brookstone filed for bankruptcy, and will be closing all of their mall stores. The chain is hoping to keep 35 of its remaining airport stores open. With the loss of Brookstone, how will people waste time at malls? Weekly Roundup – Robots, Movies and More!